Our Relationships Make Us Human. And they Make Work Better. Erica Keswin, Expert in the business of relationships. Remember that time your manager scolded you in an email? Or your boyfriend broke with you over text? It’s not the technology that hurts our relationships, it’s the way we use it that’s all wrong. The second thing we need to do to create a human workplace is to position technology so that it strengthens our relationships instead of erodes them. We need to find that sweet spot between tech and connect. One way to do that is to pause before you communicate something. Identify your goal and think about the best mode to get your message across. Send an email when you need an answer to something without much nuance, but move up the attention chain and pick up the phone or walk down the hall if you need to ask someone’s opinion, do some real problem solving, or want to truly connect with someone you haven’t seen in a while. And please, if you have to say something sensitive about a person’s behavior or your relationship, by all means, take a deep breath and pick up the phone. Likewise, if you want to forge a new working relationship, influence someone, or close a deal, make the time for some serious face-time (and yes, even Facetime can be a great connector!). As a rule of (texting) thumb—match the medium to the message. The higher the stakes, the more we invest. Airbnb’s tagline is “Belong Anywhere.” So I was not surprised when I learned that every year or two the company invests in bringing all of its people together for some in-real-life belonging over food and fun. Something like this is pretty easy to pull off as a startup, but how do you do maximize your ROI (and these things aren’t cheap) with over 3,000 people? By honoring relationships, that’s how. There’s nothing more valuable than togetherness like that. Erica Keswin is a workplace strategist who has worked for the past twenty years with some of the most iconic brands in the world as a consultant, speaker, author and professional dot-connector. 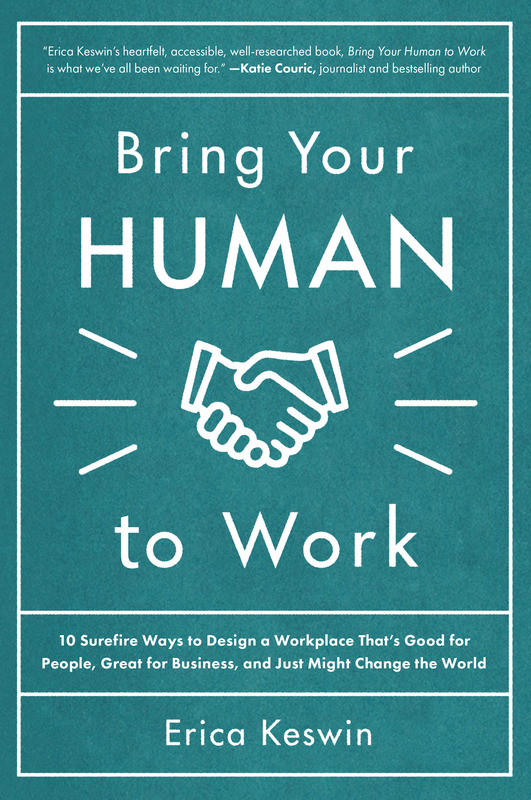 Her forthcoming book, Bring Your Human to Work: Ten Sure-Fire Ways to Design a Workplace That is Good for People, Great for Business, and Just Might Change the World, will be published by McGraw-Hill in the Fall of 2018. In the meantime, Erica’s work and insights can be seen in varied media outlets, including Harvard Business Review, Forbes, Huffington Post, O Magazine, Entrepreneur, Quartz at Work, Fast Company, Better Homes and Gardens, Mogul, and Conscious Company. Erica is also the founder of the Spaghetti Project, a platform devoted to sharing the science and stories of relationships at work. She lives on the Upper West Side of Manhattan with her family and dog, Cruiser.